JUNEAU — A bill providing $150.3 million in disaster aid for the Nov. 30 Southcentral Alaska earthquake and the upcoming summer wildfire season is nearing a final vote in the state Senate. On Tuesday, members of the Senate Finance Committee approved Senate Bill 38, the governor’s proposed fast-track disaster funding bill, and sent it to the Senate Rules Committee, which will schedule it on the Senate calendar. A vote is possible as soon as Wednesday. “It would not be my intent to hold it up,” said Senate Minority Leader Tom Begich, D-Anchorage, adding that he has not talked to his fellow minority members, and they may have questions about the details of the bill. The bill is an urgent matter for the state’s disaster relief fund. Without the money it provides, the fund will run out of money by April 1, state officials say. If the bill is approved by the Senate and the House, then signed into law by Gov. Mike Dunleavy, $73.5 million will go to the Alaska Department of Transportation, $67.9 million to the disaster relief fund for earthquake-related items, $7.9 million will go to the disaster fund in preparation for wildfire season, and $1 million will go to the Department of Labor. More than two-thirds of the funding behind the bill is from the federal government. Less than $50 million is from the state treasury. Sen. Bert Stedman, R-Sitka and chairman of the Senate Finance Committee, cautioned lawmakers and the public that the bill will not meet the state’s entire needs from the Nov. 30 earthquake. “This is just frankly, a down payment. We expect possibly $30 million to $40 million come to us in the regular budget cycle after the spring thaw,” Stedman said. 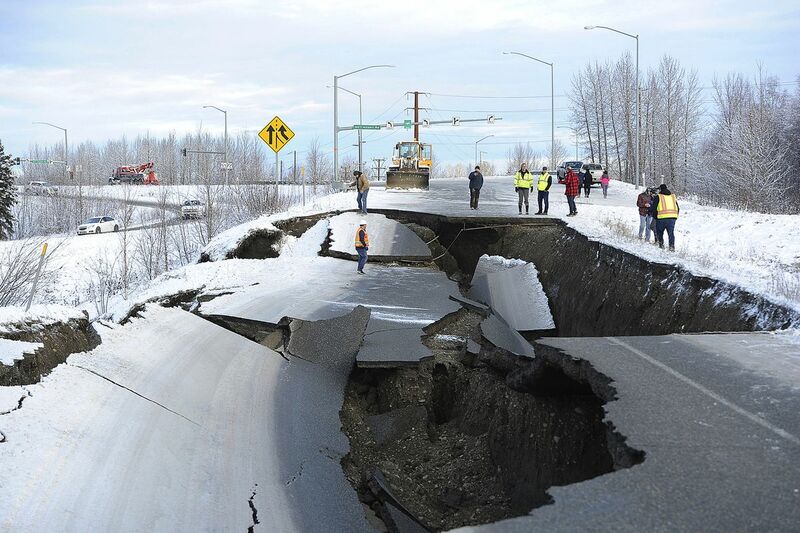 According to the Alaska Department of Transportation, additional earthquake damage will be discovered once winter’s snow melts.